In 2006, Vanuatu scored the highest place on the Happy Planet Index, a global ranking of countries based on an equation of economics, the environment and society. Clearly, they must be doing something right! Unwind on island time in Port Vila with these tips and find out what it is that's making Vanuatu such a happy place to be. One of two markets operating on the harbour front in the town, Mama's market offers plentiful fresh fruit and vegetables, locally made clothing, traditional dishes and an abundance of friendly stallholders. The charm of the market, like much of the island, is in its simplicity. The local women running the clothing stalls both hand paint the dresses and sarongs, and use hand-operated sewing machines to stitch it all together. Only closed on Saturday afternoons and Monday mornings, you can head down to the harbour for a flavourful snack or a wearable souvenir along with the locals. When you're in Port Vila, there's more to cooling off on a hot summer's day than just sitting in the shade. Make a beeline to the Mele Cascades, just 15 minute from the central township. 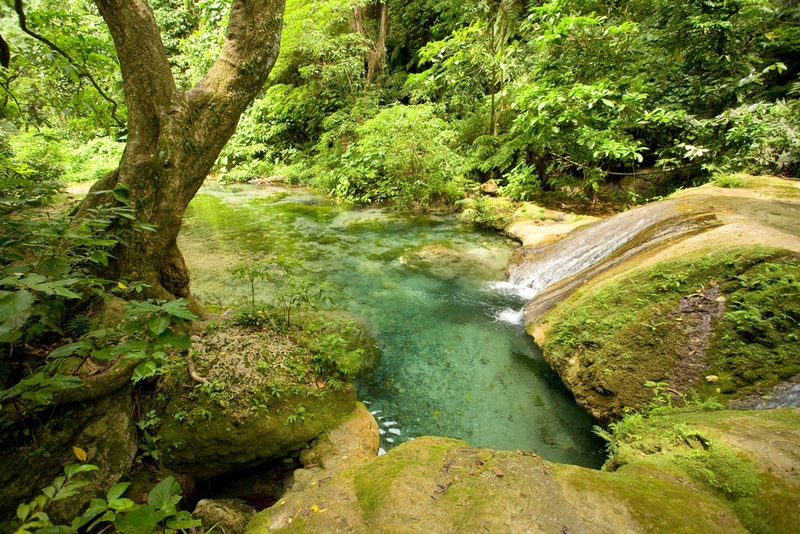 Set amongst vibrant tropical rainforest, the cascades are a visually stunning attraction, a calming bath, a superb water bombing spot and an idyllic natural massage if you sit or stand with your back to the rushing waters. Be sure to wear sensible footwear, as access to the 35 metre falls is limited to a walkway through the river at the base, where there is a rope handrail. Fish and sea​ life are staples of the island diet, so putting your own bait and tackle skills to the test with a chartered boat. The waters around Vanuatu are renowned for their abundant ocean​ life, with a reputation for game and light tackle sport fishing. Common catches can include mahi mahi, wahoo, swordfish, tuna, albacore and even marlin. In many cases, the operators will release their catch back to the sea (after capturing the moment on camera of course), unless they offer it to village locals. Boats leave from Port Vila Harbour for half and full day tours for game fishing, and there are reef fishing options for those who are in it for the experience more than the glory of catching something gigantic. There are plenty of tourist attractions on Port Vila (including the world's only underwater post office! ), but to truly embrace the culture like a local, spend a few days living and smiling as they do.